Computer science graduates are paid the most out of all majors, and by 2020 there will be over 1 million unfilled STEM jobs requiring coding knowledge! In this program, students take their coding skills to the next level and experience the thrill of startup culture—all within a prestigious university setting. After two weeks of elite instruction, industry insights, and peer networking, you will leave with a polished portfolio and the skills needed to succeed in school, college, and the ever-evolving field of computer science. 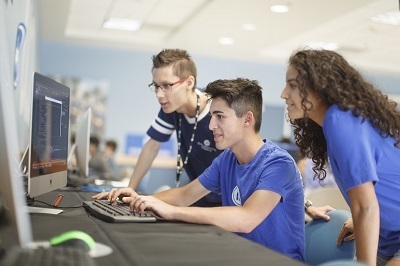 Our 2-week programs immerse teens ages 13-18 in the world of computer science and app development. With personalized instruction and an average of 8 students per instructor, this isn't a classroom. Our curriculum is customized so you can refine your programming skills at your pace, your way. Courses are led by hand-selected industry professionals. Some come from companies like Microsoft. Some are esteemed university professors on break for the summer. Join us—build your tech skills, hang with new friends, explore campus, and get a taste of college life and learning. 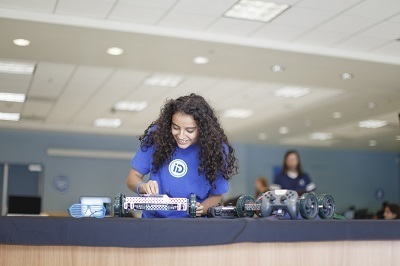 iD Tech also offers tech camps for ages 7-17, all-girls tech camps for ages 10-15, and game design and development academies for teens ages 13-18. Get started today at www.idtech.com/academies or call (888) 709-8324 for personalized course recommendations. Two week, pre-college, immersive summer programs for teens at prestigious university locations. For more details, visit our website.